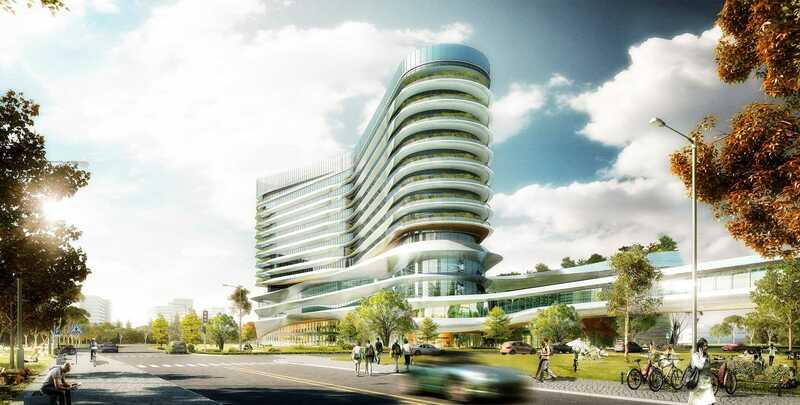 Design a multi-specialty general hospital that supports Shanghai’s transformation into a medical tourism destination that also supports the local population. 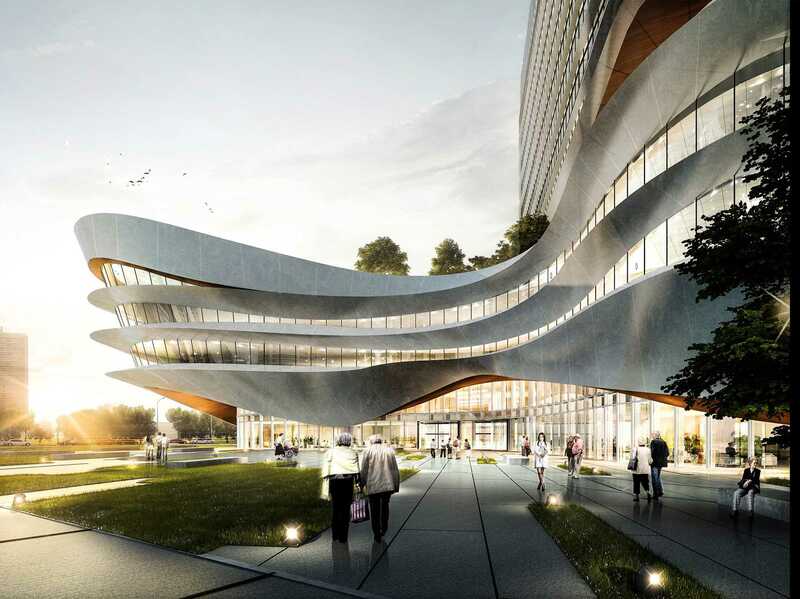 The building design was inspired by the study of transformational processes. The building’s skin is specifically tuned to the environment by minimizing direct heat gain while maximizing daylighting. 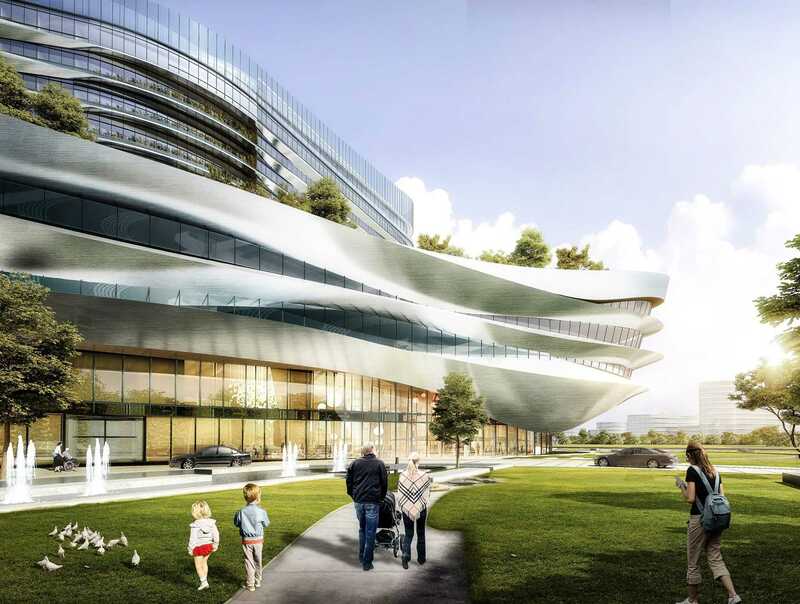 Other key attributes of the design include access to nature via balconies and roof gardens throughout the building, as well as a reduced tower footprint that improves natural lighting and ventilation. 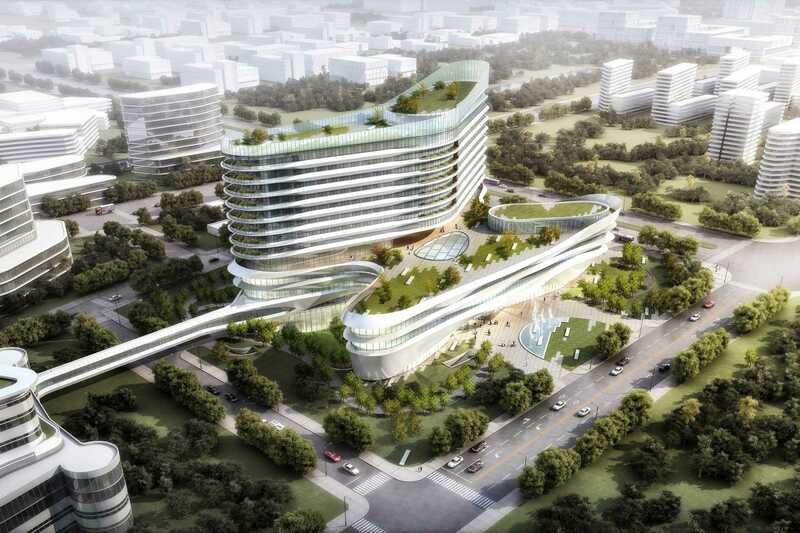 The project is a part of the New Hongqiao International Medical Center masterplan. Its proximity to Hongqiao International Airport and the Shanghai Hongqiao Railway Station provides accessibility to patients from across Asia and beyond. 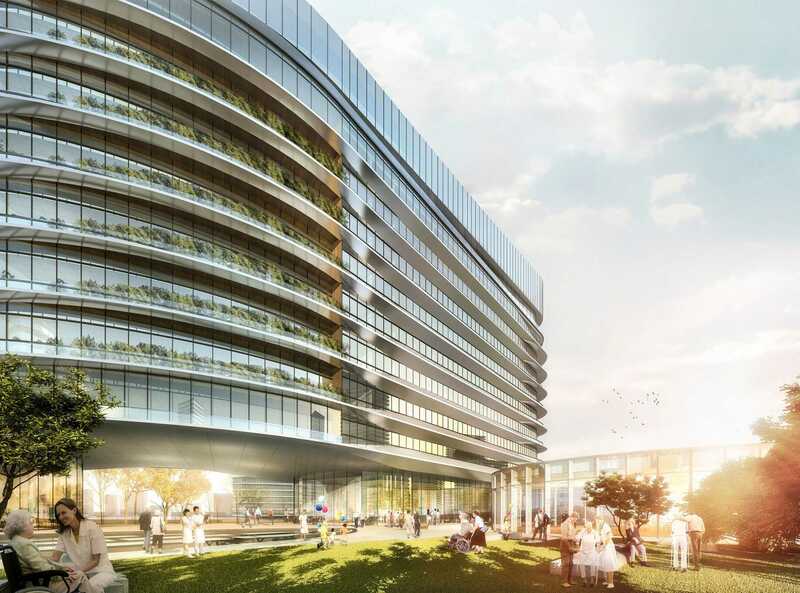 Opening in 2020, ParkwayHealth Gleneagles Shanghai is key to the company’s growth in China. A full-service interventional suite, infusion center and lifestyle services cater to both the local population and the international medical tourism market. This hospital is also the first foreign private joint venture hospital in the New Hongqiao International Medical Center.